Today it is quite obvious that Western-backed process of creation of a Greater Albania is not any propaganda myth but rather visible reality. South Serbia’s province of Kosovo-Metochia is already, de facto, a part of “united” Albania from June 1999 and current political situation in the Former Yugoslav Republic of Macedonia is surely going in the direction of the separation of North-West Macedonia mainly populated by Albanians who succeeded with the crucial Western support to promulgate a new language law in Macedonia’s Parliament according to which, the Albanian language is going to be the second state language (i. e., together with Macedonian the official language of the country) at the same time, however, when the Russian language is in the process of elimination from the schools at the Baltics. Both concepts and projects of a Greater Albania were historically founded on the imperialistic ambitions of certain Albanian national leaders and supported by the Western Great Powers for geopolitical reasons. Therefore, claims on Greater Albania, to be established by the annexation of the territories from all present-day Albania’s neighbors, are founded on the following three policies of Albanian imperialistic nationalism as the history of Kosovo-Metochia is the best example of illustration: 1) Ethnic cleansing or expulsion of autochtonous inhabitants; 2) Massive migration from Albania to neighboring territories and occupation of their households; and 3) Execution of politically motivated policy of extremely high natural birth-rate for the sake of changing ethnic breakdown of the land in question. Nevertheless, one of the fundamental questions in regard to the issue of modern Albanian nationalistic imperialism is when it historically started. 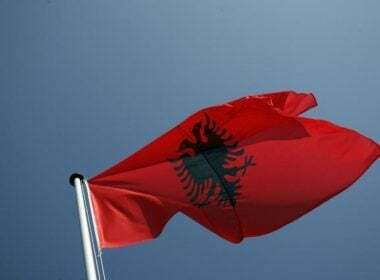 According to the relevant historical sources, it can be concluded that historical roots of the projects to create a Greater Albania are dating back to the year of 1878. It is today 140-years anniversary of both the San Stefano Treaty and the Berlin Congress – two historical events which tremendously influenced the history of South-East Europe, or the Balkans, with direct implications to the European history as well as. There were many consequences of the “The Year of 1878” phenomenon to the European history but one of the most important was the opening of the “Albanian Question” to the Great European Powers of the time. Surely, Europe in 1878 faced the “Balkan Question” and its Albanian reflections. Consequences of this issue are clearly visible up today in Kosovo-Metochia and the Former Yugoslav Republic of Macedonia as Europe does not want to fix the problem of Albanian brutal nationalism and territorial expansion. The Albanian and Macedonian national movements emerged as the latest among all Balkan people for different reasons. Both of them started to be developed in a pure form in 1878 as a consequence of the results of the Great Eastern Crisis (1875−1878), which started in Serb-populated Ottoman East Herzegovina and finished with Russo-Ottoman War (1877−1878). 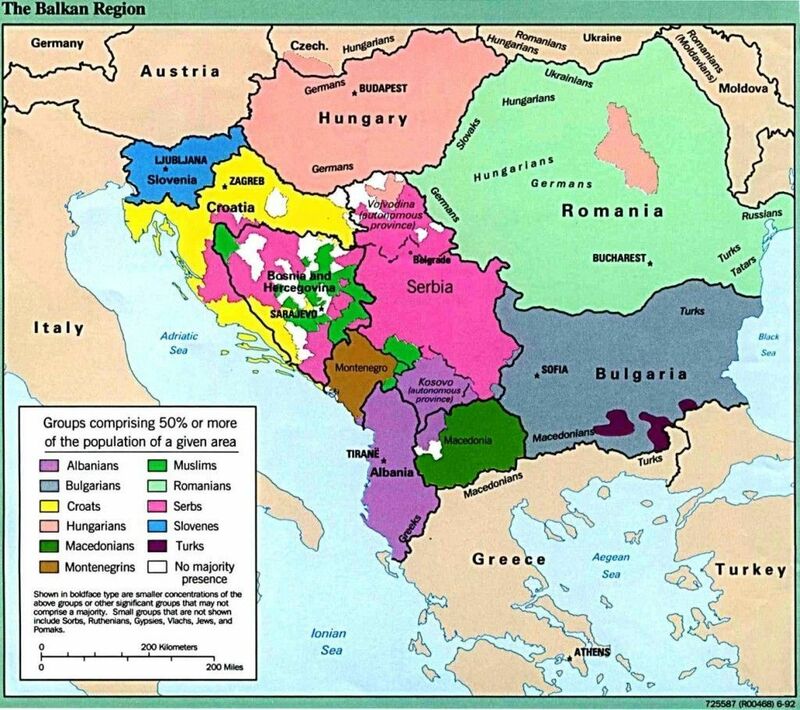 The Great Eastern Crisis “dramatically shifted the ethnic picture of the Balkans as the cartography of homogenization begin to transform ethnically heterogeneous regions into far more homogeneous spaces”. The Ottoman Muslim provincial governors (pashas) in Albania did not up to 1878 represent an Albanian national movement which could be comparable to that of the Balkan Christian nationalities in the neighboring areas regardless of the fact that they intended to establish autonomous administrative-political territory under their governorship. Although there was a strong intention and struggle for self-administration in Albania followed by resistance to taxation by the central Ottoman authorities, the population, which was composed by 70% of Muslims, 10% of Roman Catholics and 20% of Christian Orthodox, was in a great majority (only Muslims) in favor of living in the Ottoman Empire as Albania’s population of Islamic denomination understood all the time Muslim Ottoman Empire as their national-confessional state. Therefore, Muslim Albanians before 1878 have been firstly Muslims and then Albanians. After Russian military victory over the Ottoman Empire in the 1877−1878 Russo-Ottoman War, it was signed the San Stefano Treaty between these two states on March 3rd, 1878. According to the treaty, a Greater “San Stefano” Bulgaria, under the direct protectorate by Russia, had to be established within the borders of the Ottoman Empire. However, an idea of “San Stefano Bulgaria” directly affected three Balkan nations: Serbs, Greeks, and Albanians as some of their ethnic and historic territories had to become part of a Greater Bulgaria. A “San Stefano Bulgaria” was projected by Russia’s authorities to cover a territory from Danube River to the Aegean Sea and from present-day Albania to the Black Sea, including whole geographic-historic Macedonia, present-day East Serbia, and present-day South-East Albania. As a result, Albanian nation living in present-day South-East Albania and West Macedonia would become part of a Greater Bulgaria that would be governed by Russian representative. It is characteristic of both the 1878 San Stefano Treaty and the 1878 Berlin Congress that they conceived parts of Albanian-populated Balkan territories to be given to other Balkan states according to the principle of ethnic and historic rights – decisions which became soon politicized by Albanians as allegedly being of an anti-Albanian policy by Europe. The remained Albanian ethnic space would be within the borders of the Ottoman Empire but without any “special status”, i.e., autonomous rights and ethnopolitical privileges. The Ottoman government itself was feeble to protect Albanian populated territories consisted of about 85% of Muslim population, which showed the highest degree of political and ideological loyalty towards the sultan and Sublime Porte in Istanbul. Nevertheless, the decisions of the 1878 San Stefano Treaty resulted in the organization of Albanian self-defence system by their (Muslim) political leaders who preferred an autonomous status of a Greater Albania’s province within the Ottoman Empire, similarly to the status of Serbia, Moldavia and Wallachia, as the only guarantee for a “justifiable” administration over the (Muslim) Albanians in the future based on Islamic law and values. For the very purpose to preserve the territories populated by Muslim Albanians it was established in 1878 the (First) League of Prizren in Metochia (Western Kosovo). This League of Prizren was created primarily in order to prevent encroachment by the Balkan Christian nations on self-understood national territory of Albanians regardless of the fact that in many regions or municipalities Albanians at that time were minority among the local population: for instance, in 1878 there were 70% Serbs and 30% Albanians in Prizren – the city called by Serbs as “Serbian Jerusalem”. Kosovo-Metochia as a region still at that time was populated by Serbian majority but the League of Prizren required the whole region for the province of a Greater Albania within the Ottoman Empire. However, at that time, the aim was not to establish an independent Albania as the Ottoman Empire still was seen as a national-confessional state of the majority of Albanians who were the Muslims. The 1878 League of Prizren was convoked primarily as the Balkan pan-Islamic, but not particularly Albanian, a conference to deal with the preservation of the Ottoman Empire at the time of the sessions of Berlin Congress in June-July of the same year. The Berlin Congress, participated by all European Great Powers, had as its fundamental aim to drastically revise the decisions of San Stefano (Russo-Ottoman) Treaty. The San Stefano Treaty accorded to the Slavic Bulgaria a portion of the following Albanian-settled lands: 1) The district of Korçë; and 2) The Debar area. According to the same treaty, Montenegro was granted by several municipalities at present-day North Albania and the areas of Bar and Ulcinj. The border between Ottoman Albania and Montenegro was fixed on the Bojana River and the Scodra Lake (as it is today). Nevertheless, an official representative of the Principality of Montenegro, Radonjić, required in Adrianople (Edirne) the city of Scodra to be included into enlarged Montenegro on the basis that it was a capital of medieval Montenegro (called at that time Zeta). However, what was exactly regarded at that time as Albania, and the Albanians as an ethnic identity, was not clear at all to anybody in Europe. The main reason was the fact that the official Ottoman censuses became a quite unreliable source to fix such problems because they were based rather on the religious identity than on strict ethnonational (i.e., ethnolinguistic) belonging. Practically, all Ottoman Islamic population, either they were the Albanians, Bosnians or Turks, were selected to one category (millet) – the Muslims (nation of Mohammed). In other words, the national/ethnic differences were not marked in the Ottoman censuses at all. Nevertheless, regardless of the lack of the official statistics, it is possible to reconstruct the dispersion of the Albanian ethnicity at that time by using other historical sources. One of such source, for instance, is a report to the Austro-Hungarian authorities about the northern boundaries of Albanian language written by Austro-Hungarian consul F. Lippich in the mid-1877 during the Great Eastern Crisis and the Russo-Ottoman War of 1877−1878. According to this report, a northern linguistic border of the Albanians run from the city of Bar on the Montenegrin Adriatic littoral towards the Scodra Lake, then through two Montenegrin regions of Kolašin and Vasojevićs, after that towards the Ibar River and the city of Novi Pazar in Sanjak (Raška) up to the area of the South Morava River at present-day Serbia. The Albanian linguistic borderland was fixed on the East and the South-East to be around the Ochrid Lake, the cities of Bitola (Monastir) and Debar, and the upper Vardar River. However, in many of these areas the Albanian language was spoken together, and even as a minority language, with the Slavonic languages as they are today officially called as Serbian, Montenegrin and Macedonian. Surely, the San Stefano Treaty provoked the emergence of Albanian nationalism and forged Albanian nationalistic movement. A germ of Albanian national movement was growing from the 1840’s to the time of the Great Eastern Crisis of 1875−1878 when the first requirements for the establishment of Albanian-language schools and the preservation of national language were requested by Albanian public workers in the Ottoman Empire (Naum Panajot Bredi, Engel Mashi, Josiph Kripsi, John Skiroj, Hieronim de Rada, Vincenzo Dorsa, etc). However, Albanian national movement received a new impetus during the Balkan crisis of 1862 at the time of a new Montenegrin-Ottoman war when several members of the so-called “Scodra group” (Zef Ljubani, Pashko Vasa, and others) propagated the uprising of North Albania’s tribes in Roman Catholic Mirditë region against Montenegrin territorial pretensions on Albanian-populated areas. They also opposed the Ottoman authorities as they relied on the support by French Emperor Napoleon III (1852−1870) who was a protector of Roman Catholics in the region. In the case of the successful result of the rebellion, the independent and united principality of Albania would be created at the Balkans which would include all Albanian-populated territories. The main Albanian ideologist at that time was Zef Jubani, born in Scutari in 1818, who claimed that Albanians already became a nation. His primary political goal was a creation of an autonomous united Albania within the Ottoman Empire. Others, like Thimi Mitko and Spiro Dineja, favored Albania’s separation from the Ottoman Empire and creation of a dual Albanian-Greek confederate state similar to Austria-Hungary (from 1867). During the Great Eastern Crisis of 1875−1878, Albanian uprising in Mirditë in 1876−1877, led by Albanian patriots from Scodra, had as its ultimate political goal a creation of an autonomous Albania in the Ottoman Empire. The leaders of the uprising visited Montenegrin court in order to obtain a financial support from Montenegrin prince Nikola I (1860−1910; king 1910−1918). Such support was promised to the leader of Albanian delegation, Preng Dochi. What is important to stress is that Montenegrin prince stated on this occasion that Montenegro does not have any territorial aspirations on “Albanian” territories. At the same time, a Russian diplomat in Scodra, Ivan Jastrebov, pointed out that Europe faced the “Albanian Question”. Albanian tribal chieftains from South Albania and North Epirus under the presidency of a prominent Muslim Albanian feudal lord Abdul-beg Frashëri convoked in 1877 a national meeting in the city of Ioannina when they required from the Sublime Porte in Istanbul to recognize a separate Albanian nationality, and therefore to give them a right to form an autonomous Albanian province (vilayet) within the Ottoman Empire. They required, in addition, that all officials in such Albanian vilayet should be of Albanian ethnic origin (but only Muslims), Albanian-language schools to be open and finally Albanian-language courts to be established. The Memorandum with such demands was sent to the Sublime Porte, but this supreme Ottoman governmental institution rejected to meet any of these Albanian national requirements which, in fact, were calling for the creation of a Greater Muslim Albania within the Ottoman Empire. A publishing of the San Stefano Treaty’s articles caused a great unrest and dissatisfaction among Albanian people but primarily among those of Islamic confession as they understood that they will lose all social, economic and political privileges if they will be included into a Christian state. From that time onward, a previous Albanian movement just for improvement of the social conditions of Albanians living in the Ottoman Empire became, however, now transfigured into Albanian nationalistic movement which, in essence, was rooted into Islamic tradition and political dogmatism. Now Albanians were requiring either the creation of the politically autonomous province of (a Greater) Albania within the Ottoman Empire or the establishment of an independent (Greater) Albanian national state (based on the Islamic tradition and values). Especially North-East and East Albania experienced massive unrest and protest against the San Stefano Treaty that was addressed to the Great European Powers. Thus, in April 1878 (Muslim) Albanians from the city of Debar (today in the Former Yugoslav Republic of Macedonia) sent a telegram to British and Austro-Hungarian ambassadors to the Ottoman Empire, Layard, Zichy respectively, protesting against the annexation of the region of Debar by a newly projected San Stefano Bulgarian principality. It was emphasized in the telegram that the people from Debar are Albanians but not Bulgarians. Furthermore, according to the protest memo, the district of Debar encompassed 220,000 Muslims and 10,000 Christians; all of them, allegedly, were ethnic Albanians. 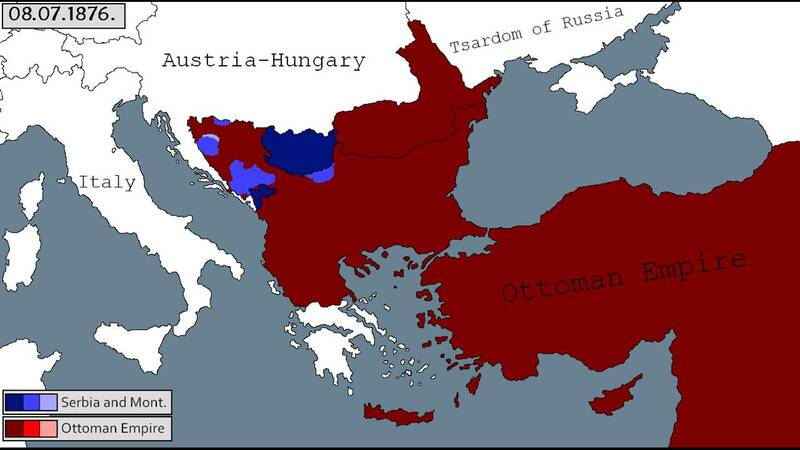 Finally, it was required that the Great European Powers would not allow Bulgaria to annex the region of Debar; instead, it should be left within the Ottoman Empire (as a “national” state of all Muslim Albanians). Similarly to Albanians from Debar, their compatriots from the city of Scodra and North-West Albania asked the Austro-Hungarian authority to foil inclusion of “Albanian” territories into Montenegro (whose independence was recognized by the Berlin Congress in 1878). Albanians from several districts in Kosovo-Metochia (Prizren, Đakovica, Peć) protested in the Memorandum to Vienna against the partition of “their” lands between Serbia and Montenegro. On May 8th, 1878 when “…today, we learned from the newspapers that the Ottoman government, unable to resist the pressure of Russia, has been obliged to accept our annexation by the Montenegrins…” a protest of Albanian population of Scodra, Podgorica, Spuž, Žabljak, Tivat, Ulcinj, Gruda, Kelmend, Hot, and Kastrat was addressed to the ambassador of France in Istanbul against the annexation of „Albanian“ land by the Principality of Montenegro. Albanians from North Albania and Kosovo-Metochia, either Muslims or Roman Catholics, started to organize their own self-defense detachments (a territorial militia) and the local committees against incorporation of these territories into either Christian Orthodox Serbia or Montenegro. Another task of those numerous committees was to help to Albanian “refugees” from the areas already taken by Serbia and Montenegro according to the San Stefano Treaty. Therefore, for example, on June 26th, 1878 from Priština was issued a protest of 6,200 Albanian emigrants who left the districts of Niš, Leskovac, Prokuplje, and Kuršumlija (today in Serbia), addressed to the Berlin Congress allegedly against the mass murders and rapes committed by Serbia’s army and the Bulgarian military units. Nevertheless, this letter of protest did not inform the participants of the Berlin Congress about three focal points of the issue that: 1) Those „expelled“ Albanians were not authochtonous people of the area as they were settled there as the Muslims from North Albania by the Ottoman authorities after 1699; 2) They firstly expelled local Christian Serbian population occupying their houses and land; 3) Majority of these Albanians were not expelled but rather left the region to Ottoman Kosovo-Metochia or Macedonia as being Muslims they did not want to live in Cristian state. In one word, such official protests by (Muslim) Albanians were much more a way of a political propaganda work but not based on the reality on the ground at least not to such extent as it was formally presented. The fact was that majority of (Muslim) Albanian „refugees“ voluntary left those lands ascribed by Russian-Ottoman Treaty of San Stefano to a Greater Bulgaria for the reason that Muslims do not want, in principle, to leave under non-Muslim government – i.e., the government of the „infidels“. It is true that the 1878 San Stefano Treaty provoked the creation of Albanian nationalism but, at the same time, it is also true that Albanian nationalism established the foundation of modern Albanian imperialism. From 1878 onward the programs that were more in line with contemporary European imperialistic nationalism were developed by some elements of Albanian leadership who were emphasizing the cultural and ethnolinguistic unity of Albanians, rather than the religious divisions. However, they called for the creation of Albanian united either autonomous province within the Ottoman Empire or an independent state composed of the four „Albanian“ vilayets (Ottoman administrative units): Kosovo, Bitola, Scodra, and Ioannina. However, only in two of them, Bitola and Scodra, ethnic Albanians had a single majority of a population. For instance, in 1878 Serbs still have been the ethnic majority of present-day territory of South Serbia’s province of Kosovo-Metochia but the province was already at that time fully appropriated by Albanian nationalistic imperialists for the creation of a Greater Albania – a project already realized for the first time during the WWII under the sponsorship by B. Mussolini and from September 1943 by A. Hitler. The roots of Albanian territorial megalomania that is formulated within the framework of a „united“ Greater Albania are dating back in 1878 as a consequence of the results of the Great Eastern Crisis. Modern Albanian nationalistic imperialism is originally framed by the (First) League of Prizren in 1878, which had an Islamic and pro-Ottoman character, and from that time up to present day had, in essence, an Islamic foundation. All projects of a Greater Albania have been anti-Christian Orthodox and primarily anti-Russian. That is a focal reason why Roman Catholic and Protestant Western Christian Great Powers all the time have been supporting the creation of a Greater Albania. Today, the fundamental sponsors of Albanian territorial imperialism are Western Christian leaders of US, NATO, and EU but not their Christian Orthodox member states or citizens. The reason for such reality is of а pure geopolitical nature: а Greater Albania has to be the fundamental bulwark against Russian presence and influence in the Balkans. Therefore, „the 1999 international intervention on Kosovo was largely a NATO affair“. Finally, which kind of a Greater Albania would face Europe can be seen from the example of present-day „independent“ Kosovo(stan): an Islamic mafia state. For instance, Serbs from Kosovo-Metochia and Macedonia (i. e., from at that time Ottoman province of Vilayet of Kosovo) sent a Memorandum to the 1899 International Peace Conference in the Hague with the claims about Muslim Albanian terror against Christians [Батаковић Т. Д., Косово и Метохија у српско-арбанашким односима, Друго допуњено издање, Београд: Чигоја штампа, 2006, 115−123]. For instance, in 1948 there were 498,242 Albanians and 171,911 Serbs in Kosovo-Metochia. However, according to Yugoslav census in 1981, there were 1226,736 Albanians and 209,497 Serbs in the same province [Батаковић Т. Б., Косово и Метохија: Историја и идеологија, Друго допуњено издање, Београд: Чигоја штампа, 2007, 182]. Nevertheless, according to the first Ottoman census in Kosovo-Metochia (in 1455), there were only 2% of the population with Albanian personal and family names. The rest have been the Serbs [Hadžibegić H., Handžić A., Kovačević E., (eds. ), Oblast Brankovića. Opširni katastarski popis iz 1455. godine, 1, Sarajevo: Orijentalni institut u Sarajevu, 1972]. Екмечић М., „Велика источна криза 1875−1878“, Прекретнице новије српске историје, Крагујевац: Лицеум, 1995, 66. Biondich M., The Balkans: Revolution, War, and Political Violence since 1878, Oxford−New York: Oxford University Press, 2011, VI. San Stefano (Yeşilköy) is today the Istanbul Airport [Петер Бартл, Албанци: Од Средњег века до данас, Београд: CLIO, 2001, 93]. Parliamentary Papers, series “Accounts and Papers”, Vol. LXXXIII, Turkey, № 22, London, 1878, 10. Jelavich B., History of the Balkans: Twentieth Century, Cambridge, UK−New York−Melbourne: Cambridge University Press, 1985, 84. “Article № 1” of the San Stefano Peace Treaty in Parliamentary Papers, series “Accounts and Papers”, Vol. LXXXIII, Turkey, № 22, London, 1878, 9−10; Sumner B. H., Russia and the Balkans, 1870−1880, Oxford, 1937, 410−415. For European officials, Albanians at that time were the Turks as they have been Muslims [Петер Бартл, Албанци: Од Средњег века до данас, Београд: CLIO, 2001, 94]. Haus-Hof-und Staatsarchiv, Politisches Archiv, XII/256, Türkei IV, Lippich F., “Denkschrift über Albanien”, Wien, June 20th, 1877, 8−9. According to M. Jevtić, the Albanians have not been formed as a nation in a modern European sense of the meaning of the term at that time or they are not a nation even today as the main framework of the Albanian national identity was and is primarily Islam – a religion which does not recognize existence of any ethnolinguistic identity among the Muslims who are considered to be one (confessional) “nation” [Јевтић М., Албанско питање и религија, Београд: Центар за проучавање религије и верску толеранцију, 2011; Јевтић М., „Исламска суштина албанског сецесионизма и културно наслеђе Срба“, Национални интерест, Vol. 17, No. 2, 2013, 238]. On the Islamic tradition and political doctrine, see in [Itzkowitz N., Ottoman Empire and Islamic Tradition, Chicago−London: The University of Chicago Press, 1980]. Archives du Ministère des Affaires Etrangères, Paris, “Ceccaldi to Waddington, April 27th, 1878”, № 213, Turquie, Correspondance politique des consuls, Scutari, 1878−1879, Vol. XXI. On the strong confessional-political division and even religious wars between the Albanians later on in 1915, see in [Pollo S., Puto A., Histoire d’Albania des origines á nos jours, Roanne, 1974, 183−186; Јевтић М., Проблеми политикологије религије, Београд: Центар за проучавање религије и верску толеранцију, 2012, 159−161]. An academic concept of a Great Power is defined as a state “deemed to rank amongst the most powerful in a hierarchical state-system. The criteria that define a great power are subject to dispute, but four are often identified. (1) Great powers are in the first rank of military powers, having the capacity to maintain their own security and, potentially, to influence other powers. (2) They are economically powerful states… (3.) They have global, and not merely regional, spheres of interests. (4) They adopt a ‘forward’ foreign policy and have actual, and not merely potential, impact on international affairs” [Heywood A., Global Politics, New York−London: Palgrave Macmillan, 2011, 7]. The numbers of people of the Debar district was drastically exaggerated. The ethnic Albanians have not been the only districts’ inhabitants. Parliamentary Papers, series “Accounts and Papers”, “Layard to Salisbury, Therapia, May 4th, 1878, Vol. LXXXIII, Turkey, № 41, London, 1878, 60−61; Archives du Ministère des Affaires Etrangères, Paris, “Ceccaldi to Waddington, Scutari, May 4th, 1878”, № 214, Turquie, Correspondance politique des consuls, Scutari, 1878−1879, Vol. XXI. Novotny A., Österreich, die Türkei und das Balkan-problem im Jahre des Berliner Kongresses, Graz−Köln, 1957, 246. Ibid, 37, 247−253; Parliamentary Papers, series “Accounts and Papers”, 1878, Vol. LXXXI, Turkey, № 45, London, 1878, 35−36. Archives du Ministère des Affaires Etrangères, Paris, French Embassy at the Sublime Porte, Turkey, Vol. 417, 51−54, Supplement to the Report № 96 (original in French); Pollo S., Pulaha S., (eds. ), Pages of the Albanian National Renaissance, 1878−1912, Tirana, 1978, 12−13. Parliamentary Papers, series “Accounts and Papers”, “Green to Salisbury, May 3rd, 1878”, Vol. LXXXIII, Turkey, № 40, London, 1878, 60; Archives du Ministère des Affaires Etrangères, Paris, “Ceccaldi to Waddington, Scutari, May 4th, 1878”, № 214, Turquie, Correspondance politique des consuls, Scutari, 1878−1879, Vol. XXI; Ibid, a copy of telegram signed by the Montenegrin Prince Nikola I Petrović-Njegoš, Cetinje, June 5th, 1878, as annex № 1 to Dèpêche, June 9th, 1878, № 218. Politisches Archiv des Auswartigen Amtes, Bonn, Turkey 129, Vol. 2, The Acts of the Congress of Berlin, 2, 1878, document № 110 (telegram); Pollo S, Pulaha S., (eds. ), The Albanian League of Prizren, 1878−1881. Documents, Vol. I, Tirana, 1878, 73−74. Unfortunately, many Western quasi-academic „public opinion formers“ are misusing such historical sources in order to support Albanian false claims on the territories designed to be annexed into a Greater Albania. See, for instance: Malcolm N., Kosovo: A Short History, New York: New York University Press, 1998. To the same category of a political propaganda of „academic journalism“ are Albanian publications about „the truth on Kosova“ as, for example: Prifti K. et al (eds. ), The Truth on Kosova, Tirana: Encyclopedia Publishing House, 1993. Imperialism is „policy of extending a state’s authority by territorial acquisition or by the establishment of economic and political hegemony“ [Mansbach W. R, Taylor L. K., Introduction to Global Politics, Second edition, London−New York, Routledge, Taylor & Francis Group, 2012, 578]. Самарџић Р. et al, Косово и Метохија у Српској историји, Београд: Српска књижевна задруга, 1989, 221. Gowland D., Dunphy R., Lythe Ch., The European Mosaic: Contemporary Politics, Economics and Culture, Third edition, Harlow, England: Pearson Education Limited, 2006, 311. Pean P., Fontenelle S., Kosovo une guerre ‘juste’ pour créer un etat mafieux, Paris: Librairie Arthème Fayard, 2013.